Over the 2017-2018 admissions season, the Full-Time MBA at Texas McCombs received more than 2,000 applications from around the world. Helping create a motivated, diverse class tailored for individual successes that contribute to society in positive ways is what inspires our MBA admissions committee every day. Each MBA class is the result of relationships built between MBA candidates and the Texas McCombs community through connecting with MBA admissions, attending MBA events, completing our application and visiting our campus at UT Austin, one of the most prestigious public universities in the world, in the heart of welcoming, vibrant Austin Texas. 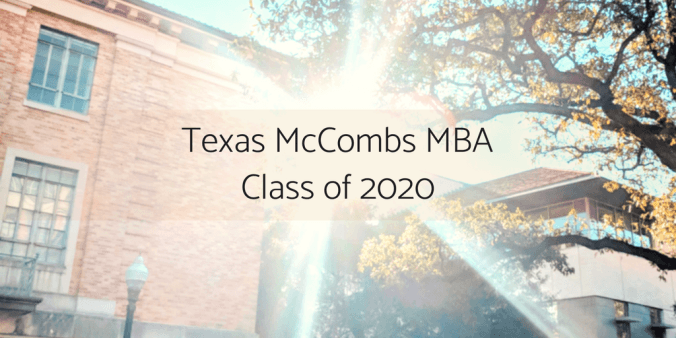 We are looking forward to the next class of Texas McCombs MBA students this fall! Get a sneak peak at our Full-Time Class of 2020 below. 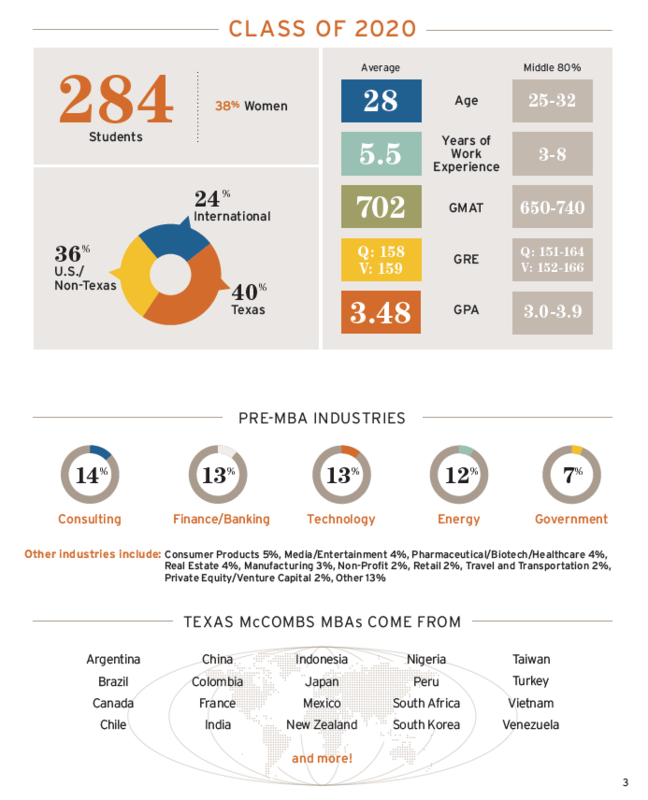 Texas MBAs come from all over the world. This week we’re highlighting some of our international students who made the long trip to McCombs. Check out what they have to say about Austin, McCombs, and the advice they’d like to share with future international applicants. Why did you choose the Texas MBA program? I wanted a school that was into social impact and also has a strong entrepreneurship program. I also had the fortune of visiting the school before applying and I loved the reception I received. It was a fit right away! And Austin has a great music scene, which is a bonus! 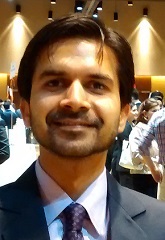 Any advice for others from India thinking about attending McCombs? McCombs has a lot of hidden gems which I discovered after I joined the program. I would advise speaking to as many students and alums as you can to understand how McCombs can help you achieve your goals. Why did you choose the Texas MBA program? I knew alumni from McCombs and they recommended I apply because it is an amazing school. The community is friendly, diverse and very open to new-comers. 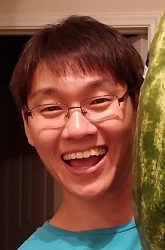 Any advice for others from South Korea thinking about attending McCombs? McCombs has so many hands-on opportunities, like MBA+, which will prepare you for any business environment in your future. Austin also has great weather and super friendly people! Why did you choose the Texas MBA program? Texas MBA is a top MBA program that sets itself apart from other business schools. McCombs has a unique, friendly culture which helps anyone make the best of their program. A “pay it forward” attitude prevails in every McCombs student and alum. With the help of these networks, any goal seems feasible, and with Austin, a friendly, awesome city, included in the decision-making process, the choice becomes a no-brainer! Any advice for others from Mexico thinking about attending McCombs? Come to Austin to meet the McCombs community! You will learn about the program, meet the admissions team, get to know current students and their experiences, and get advice on the future steps you need to take with your application (Take advantage of this opportunity, students want to help!) 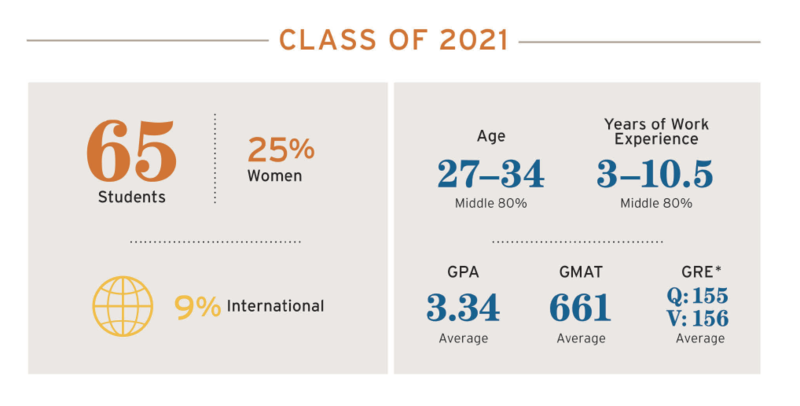 You will soon realize that the Texas MBA is the program you are looking for. Why did you choose the Texas MBA program? First, McCombs offers a customizable schedule that can be tailored to my personal goals. I can dive deep into the Corporate Finance Concentration and the MBA+ Program, to convert learning into action. Second, I appreciate the culture, diversity and collaborative community of McCombs and UT. My cohorts at McCombs are community leaders with diversified backgrounds. Learning from their valuable thoughts and experiences can inspire me to think more deeply about my career goals, life philosophy, and my contributions to society. 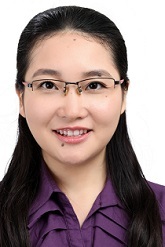 Any advice for others from China thinking about attending McCombs? I did a lot of research to choose McCombs, and after arriving here, things are far beyond my expectations! I really enjoy the down-to-earth culture. Most Chinese applicants do not know much about Austin and Texas. Texas’s current economic situation is the best among all the states in the US. More and more companies, especially the high-tech companies, are moving into Texas for this reason. Austin is a fast-growing city and the people here are nice and warm and you can enjoy the city life as well as the great natural scenes. 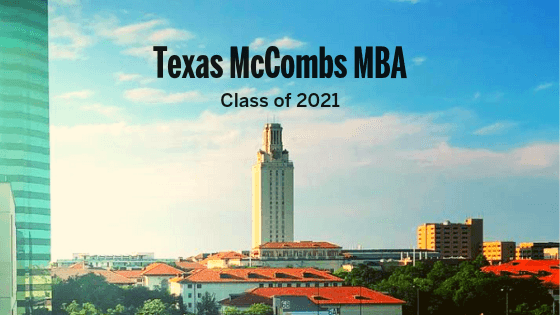 Why did you choose the Texas MBA program? I was looking for an MBA Program which would allow me to leverage my background in energy as well as provide world class education and professional opportunities. McCombs was therefore my top choice! 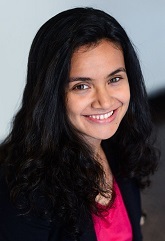 Any advice for others from India thinking about attending McCombs? Spend a lot of time reflecting on your experiences, professional, academic and generally in life. Find a theme in your experiences and tie them to your story. It’s YOUR story, no one can tell it better than you, and McCombs is a great place to do that. To learn more about the Texas MBA program, admissions events, and application information, please visit the Texas MBA website.